AxcessRescue offers industry specific competent climber training. Our state of the art facilities provide unparalleled opportunity for students to climb towers, ladders, and other structure props providing training in the basic fundamentals of climbing and working safely and efficiently at height. In addition, basic and advanced rescue techniques are presented to provide for self and co-worker rescues. Our courses exceed the NATE CTS Training Standard and we are a NATE member company. 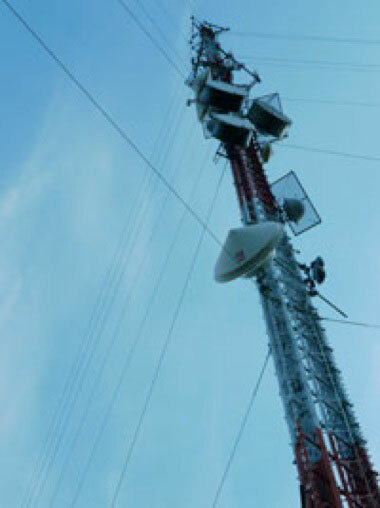 As a NATE CTS Trainer, AxcessRescue Competent Climber programs are approved by many General Contractors and tower owners. In addition, AxcessRescue has been recognized by several major General Contractors including Bechtel and Black & Veatch as an approved training provider. All AxcessRescue courses meet ANSI Z490.1-2001 adult training criteria in safety, health and environmental training, the highest industry standard for safety training. They also meet and exceed the current OSHA regulations along with the ANSI A10.32-2004 fall protection for construction and the Z359.2-2007 standard minimum requirements for comprehensive managed fall protection programs. In addition to our scheduled courses, we can also provide last minute, client specific training depending upon our availability and the number of students needing training. We believe you will find our programs to be substantially improved over the current industry standard. Others provide minimal training with extensive classroom time that does not increase student safety or ability. We do not follow in the footsteps of other training companies mostly all teaching the same old material. Our courses are predominantly hands-on with an extensive variety of climbing and rescue scenarios presented in realistic settings, and incorporate new techniques. Students perform multiple skills and rescues and are given sufficient time to practice each skill prior to skill evaluations. In other words, you are performing the task, not just watching an instructor do it. We are unrivaled in student satisfaction. For clients, we also can provide modifications to the curriculum, based upon consultation, to better meet the desired performance qualifications that companies would like to see those that work on their job sites meet. This is a pioneering step within the industry and we are proud to be able to offer this as part of our training programs. AxcessRescue has taken a different approach to instructor qualifications in contrast to the historical industry approach. All of our professional instructors have an extremely broad background in work and rescue combined with mandatory adult education schooling and experience and a strong passion for the subject matter. Regarding NATE: The NATE CTS outlines the minimum qualifications a first time climber should meet prior to climbing a tower (Authorized Climber). The next level of proficiency is defined as Competent Climber followed by Competent Rescuer. Although specific training can teach climbers important information, NATE remains steadfast in their belief that the experience received on the job cannot be accounted for in the classroom. Accordingly, NATE recommends that the employers of tower climbers be made aware that for advanced levels of training (Competent Climber and Competent Rescuer) a minimum of 90 days of work on a tower should be required of anyone deemed to be trained above the Authorized Climber level.